Our day started with a special welcome from Martha Starkey, CTP, Executive Director of the Wayne County Convention & Visitors Bureau. 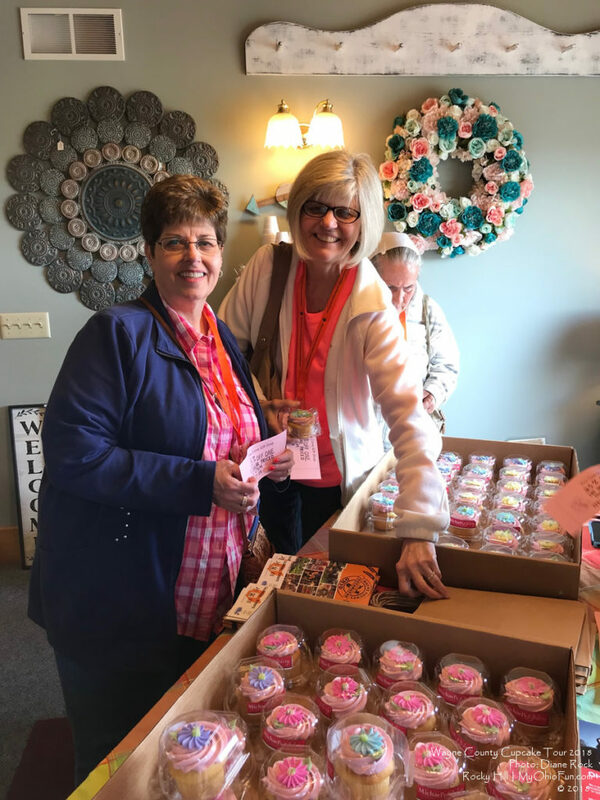 Last year I had the honor of escorting a fun group of ladies on the 2018 Wayne County Cupcake Tour. 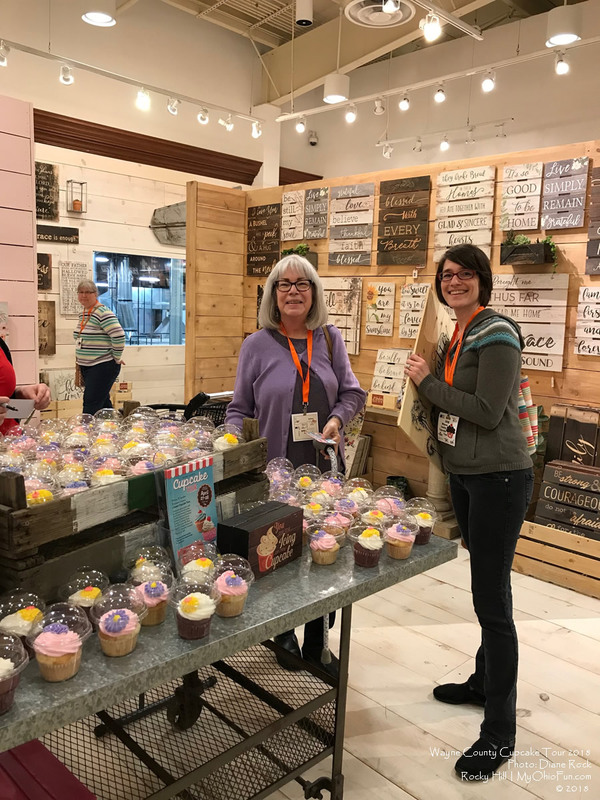 We had a blast collecting our cupcakes, while enjoying a day of shopping, eating and wine. 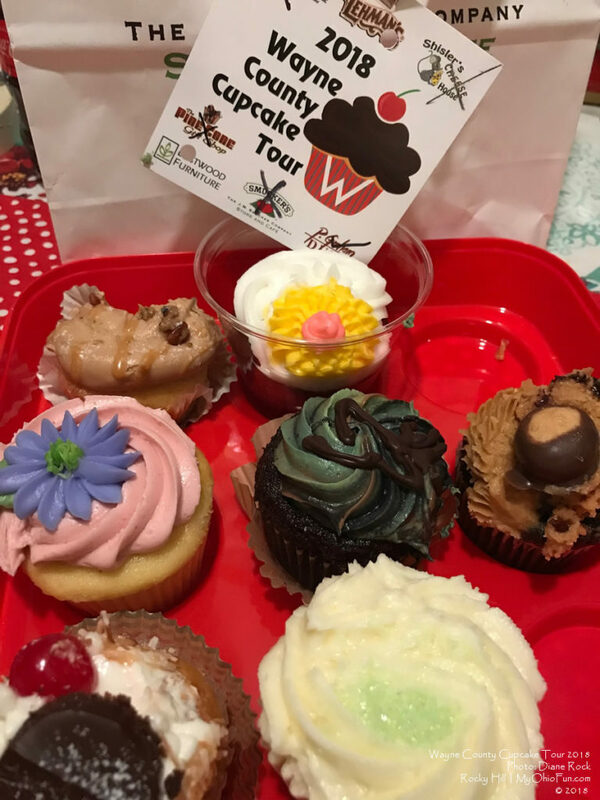 The cupcake tour has been held the past few years in April, consisting of a self-guided tour through Wayne County, Ohio. 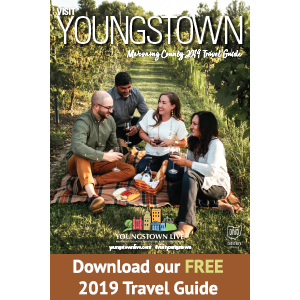 If you are interested in taking the tour this year, the 2019 tour dates are April 26-27, 2019. Tickets must be purchased before the tour. No tickets sold during the tour. The first stop this year is P. Graham Dunn. This is where you will pick up your lanyard and ticket for the other stops. Tickets are good for BOTH days. You may attend Friday or Saturday, or both! Before the tour I purchased cupcake holders at the Dollar Store for everyone. 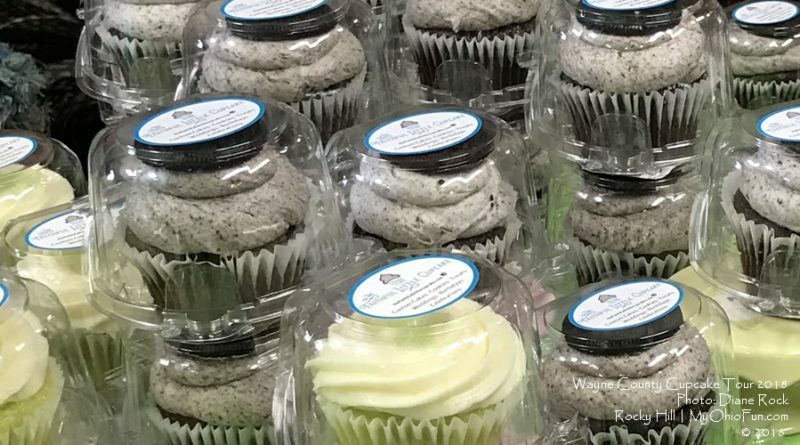 Every cupcake that you receive on the tour will come in it’s own container, so you really do not need a cupcake holder. It just makes for a fun little gift to give to everyone in your car or group and a great place to store your confectionery treasures when you got home. Make sure you take a cooler! Some of the cupcakes have chocolate, and no one likes melted frosting. Many of the stops also offered a special one day shopping coupon. We completed the tour in a day, leaving northern Summit County, Ohio at 8 a.m, and arriving back 8:30 p.m..
We arrived at our first stop at 9 a.m. The J.M. 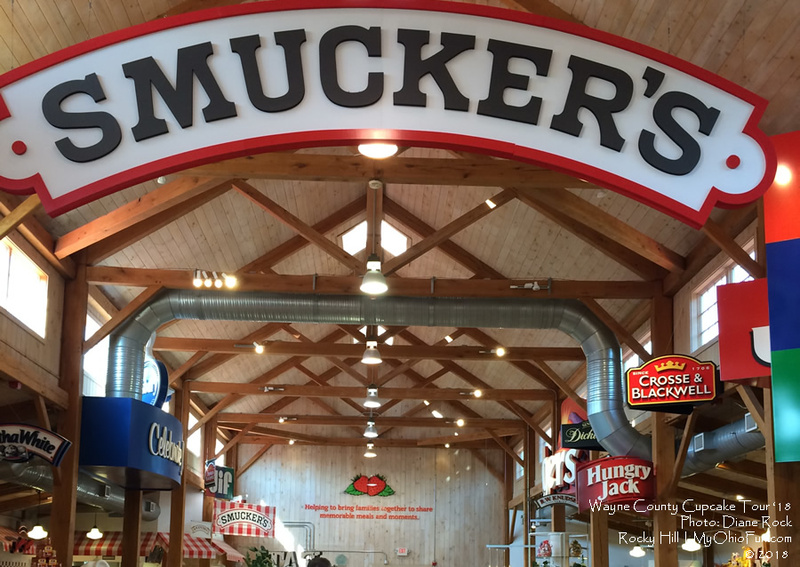 Smucker Company has been making those delicious jars of goodness for over 120 years. 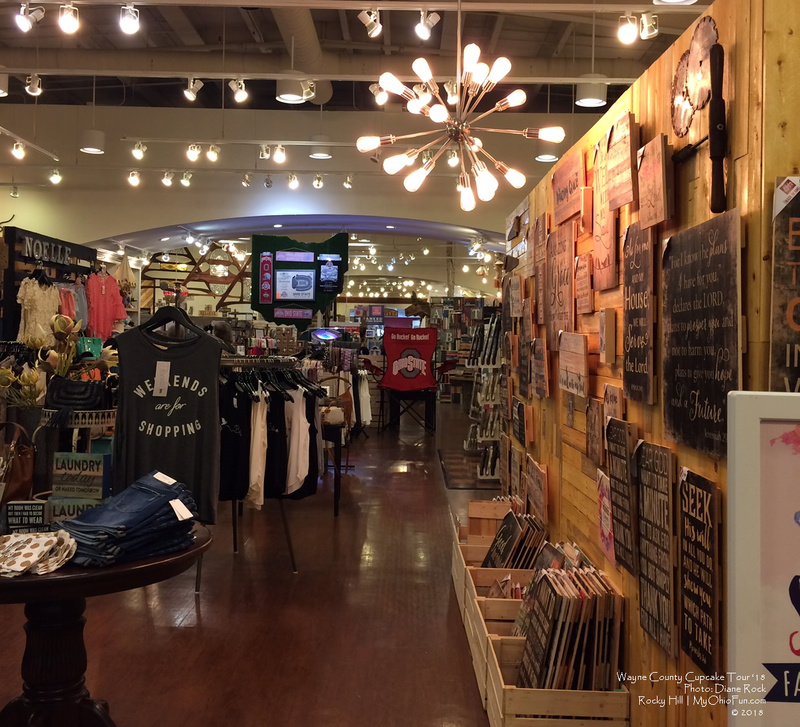 The store includes all their famous jellies, jams, as well as gift baskets, kitchen accessories, and pet products. Allow at least a 1/2 hour for shopping. 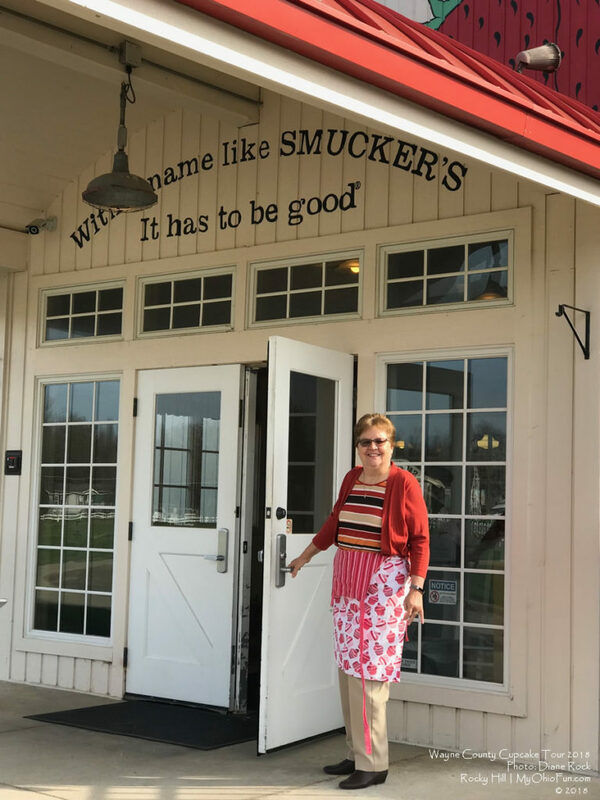 Just around the corner, (a 2 minute drive), is the Shisler’s Cheese House. This is where that cooler is going to come in real handy. 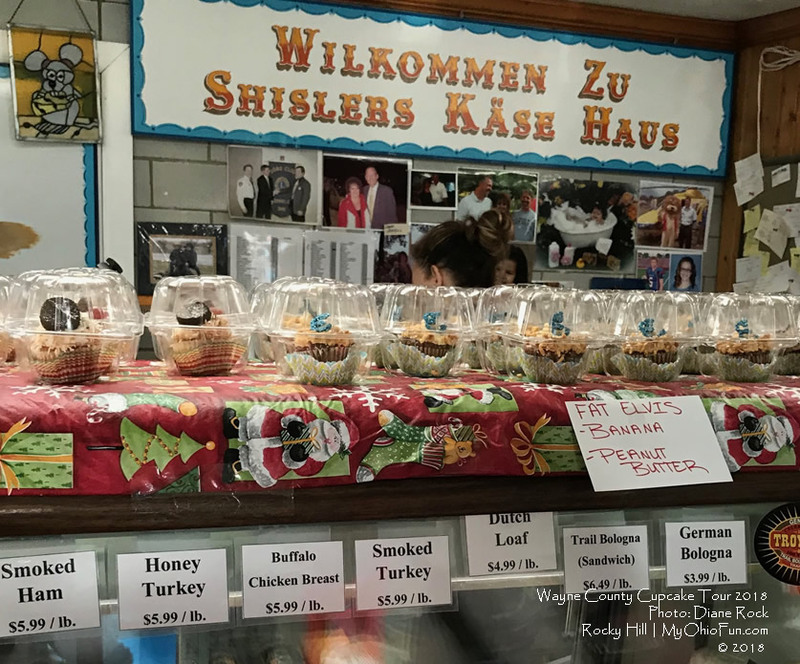 Shisler’s was established in 1958, to offer locals and travelers on the Lincoln Highway a place to purchase local cheese, meats, and other products. Today you will find cheese, meats, chocolate, gourmet foods, gift boxes, pickles and more. I can never leave the cheese house without a pound of their Swiss Cheese. 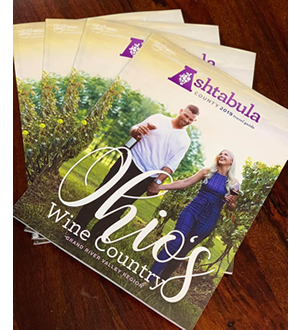 My suggestion is that you purchase one of their sample packs of cheese for later, to enjoy during your travels or if you stop at a local winery. Here you will find unique gift items. 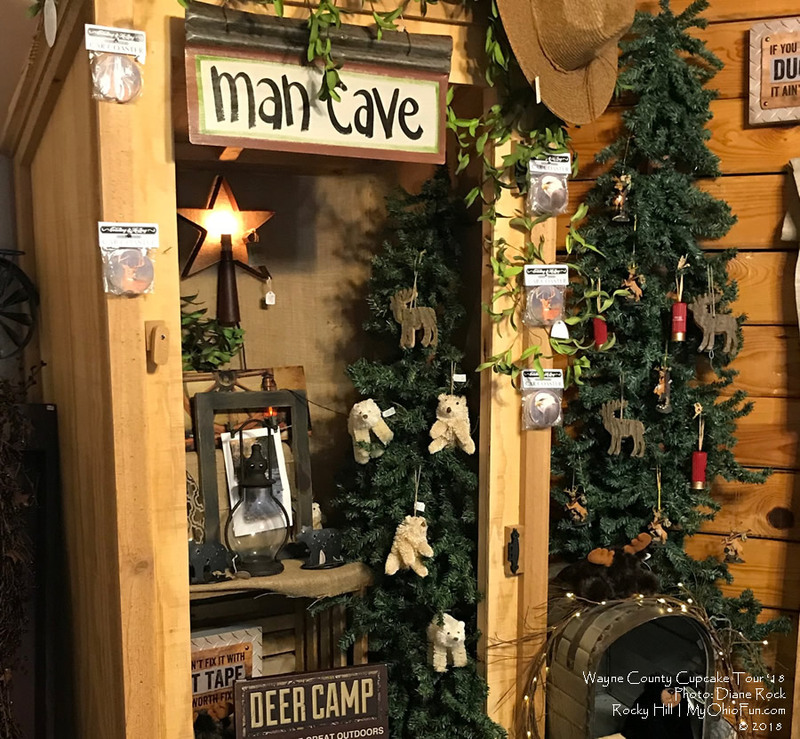 From gift cards to candles, this little shop offers a nice selection of home decorations, floral arrangements and gifts. Make sure you check out the lawn ornaments outside. Pictured: Cupcake enthusiasts traveling the trail. You know those cute signs with those great inspirational sayings on them that you find online and in stores? They were probably made at the P. Graham Dunn Factory Store. This stop is always a favorite. Besides your cupcake, you will find wall and tabletop décor, small gifts, personalized gifts, cutting boards, mugs, and more. If you want to create your own sign, with your own words, you can do that too! Elevators are available to get to the second floor. Although not on the cupcake tour, if you want to include a lunch in your travels, the Pine Tree Barn is always a treat. 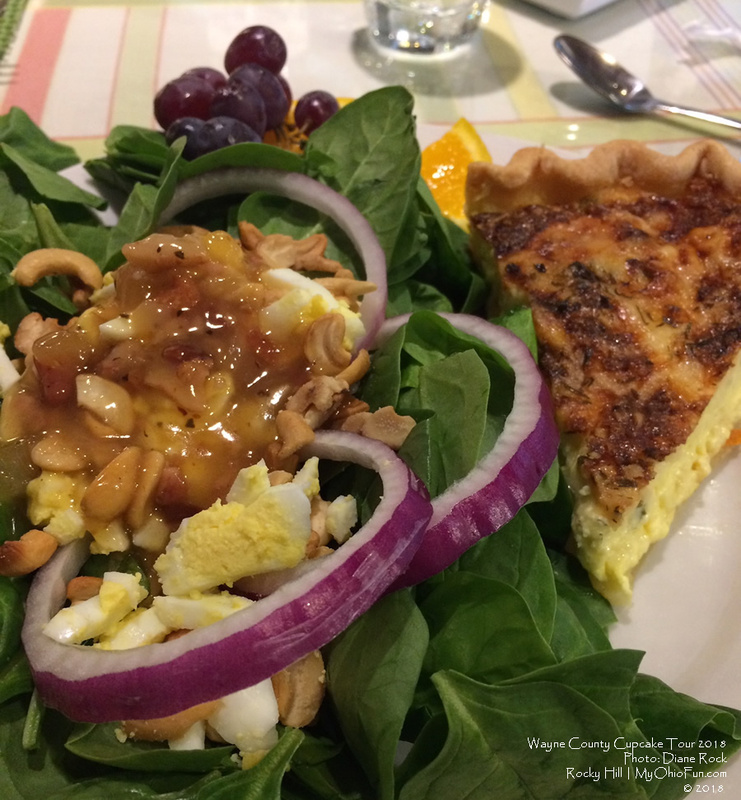 One of my favorite selections includes their quiche of the day, and spinach salad which includes their hot bacon dressing. You are going to want to make sure you purchase one of their famous lemon muffins to take home. The Pine Tree Barn is not just a place to stop and enjoy lunch. A gift shop, which includes Christmas ornaments, and a home furnishing section can also be found in the restored Dutch bank barn. Reservations are always suggested. After our lunch we headed to Blue Barn Winery for a wine tasting in the restored 1860’s Dutch built barn. All of their hand-crafted wines are pressed, fermented, and bottled on the farm. 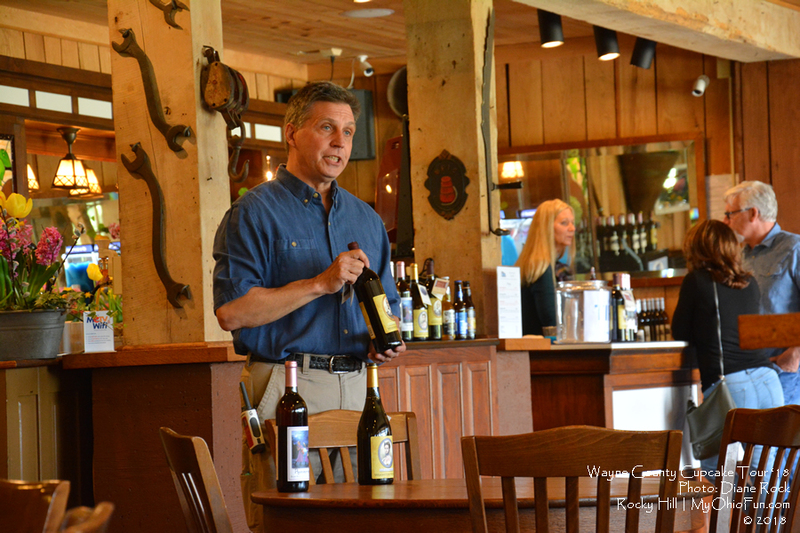 Owners, Brett and Marcia, met our group and shared the history that went with each of their wines. If you stop by, make sure to ask them about the history behind “Rumspringa Rose”! 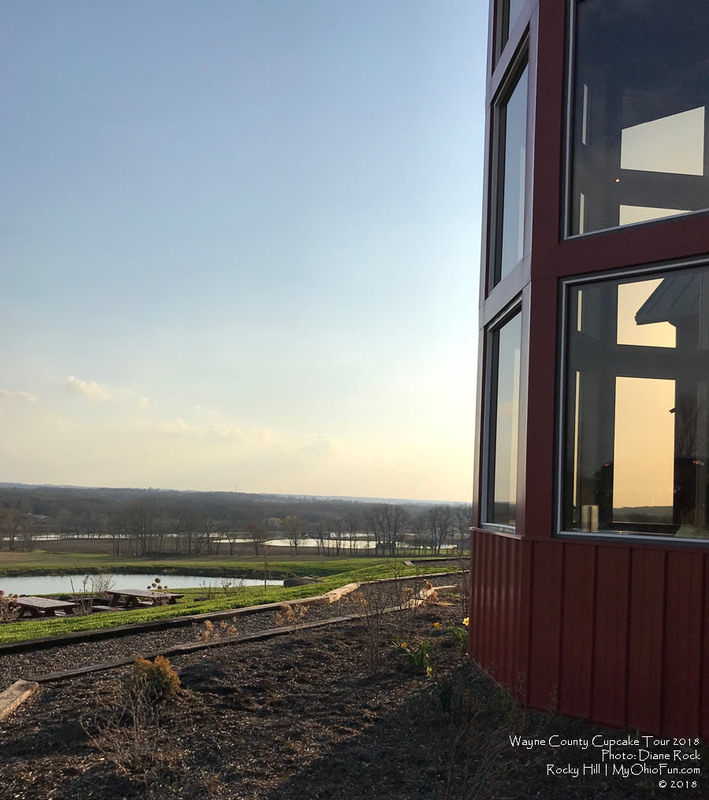 Please note: The winery opens for the 2019 season, April 27, 2019. The winery also charges a cover charge after 5pm on Saturday nights to help pay for the cost of the entertainment. The cover charge includes Entry and 1 Drink Token that is good for: 1 glass of wine or 1 beer or 2 sodas. After enjoying lunch and a glass of wine, our group headed back on the trail. 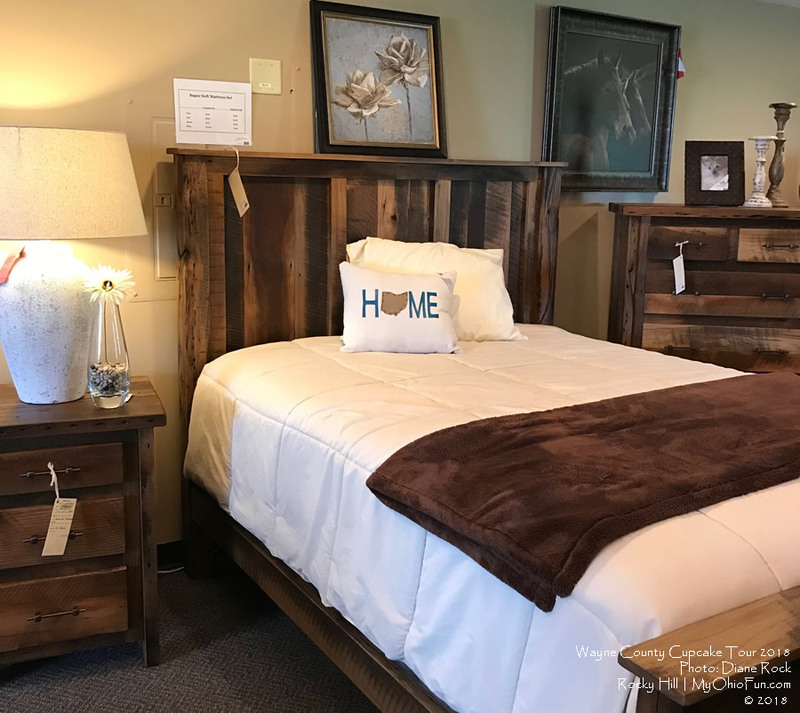 Family owned and operated, the Eastwood Furniture store has been partnering with Amish Craftsman to furnish high quality made in Ohio furniture. They will also custom make your furniture. The day we visited they offered a special savings coupon for anyone who wanted to make a purchase. One of my favorite stops on the tour. 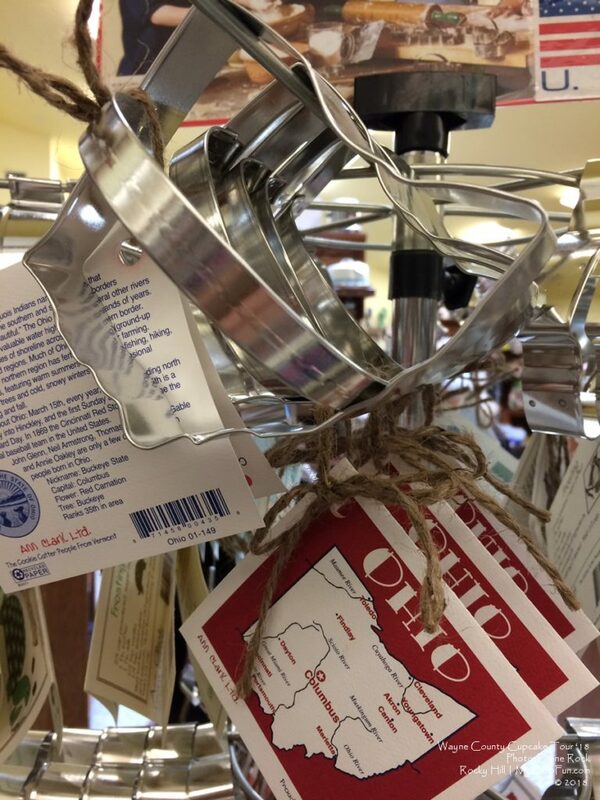 There is no store in Ohio quite like Lehman’s Hardware, family owned and operated since 1955. If you’re looking for a special widget, well they probably have one. From garden tools to oil lamps, to toys, snacks and sweets, to Amish made products, you are going to want to make sure you allow enough time to shop. If you find you can not behave, you can lock yourself in jail. Make sure your check out the old-time soda pop section. Nothing like a cold Grape Nehi or Frosty Rootbeer! 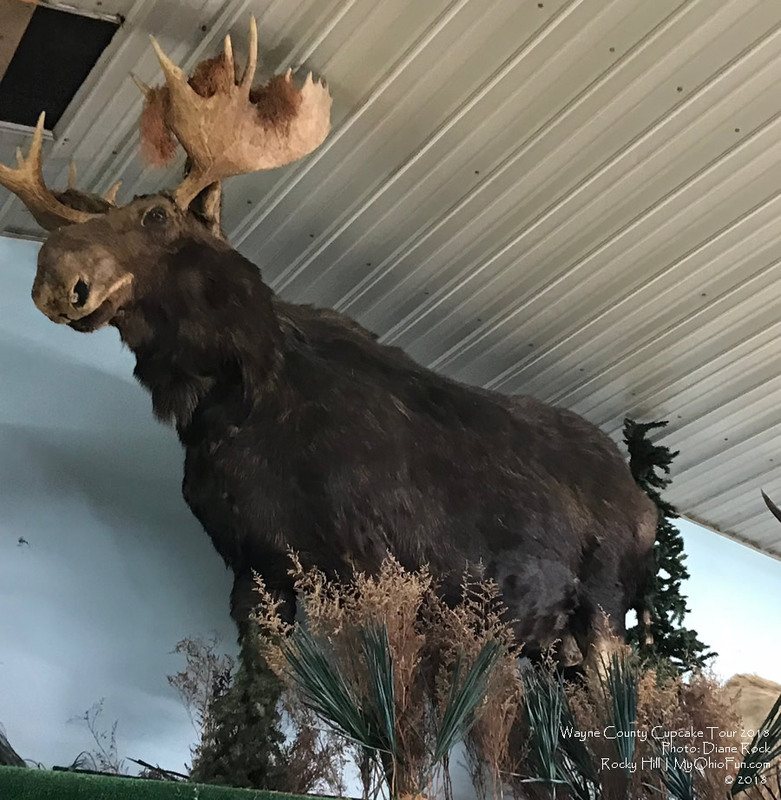 Anything you may need for fishing, archery, hunting, or camping can be found in the Kidron Sports Center, including a real stuffed moose. It’s a perfect place to pick up a cooler if you forgot to bring one. For dinner, we headed to the Barn Restaurant in Smithville. 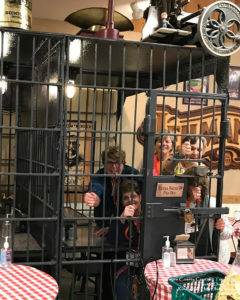 Here our group enjoyed a buffet in the remodeled old barn. The salad bar offers quite a selection, and the main buffet included roast beef, ham, meatloaf, chicken, mashed potatoes, noodles, pizza, mac & cheese, vegetables, soft serve ice cream, cakes, and desserts. Price for an adult was under $17 plus tax and included a beverage. Bent Ladder is located next to Rittman Orchards & Farm Market, where throughout the year you can purchase fresh fruit or pick-your-own. They are open Tuesday-Saturday 10am-5pm and Sundays 11am-5pm. Pictured: Fellow tour buddies collecting their cupcakes along the trail. I would first like to personally thank A-1 Limo for helping make everyone’s day a little extra special. I would also like to thank all my fellow limo buddies, who really made the day fun. 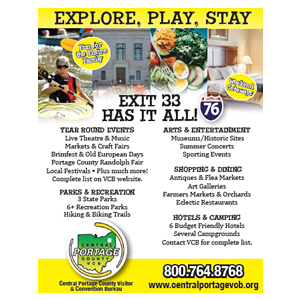 And a special shout out goes to the staff at the Wayne County Convention & Visitors Bureau, who helped me with the final planning of the bus trip. 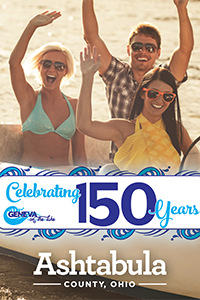 Editor’s note: Dates have been added for the 2019 season. Any use of the above article or images without prior permission, will be in violation of copyright laws. 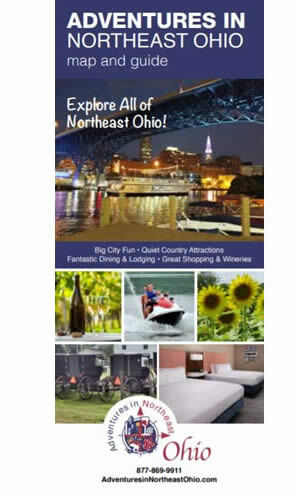 ← Ohio Hot Air Balloon Festivals and Events.